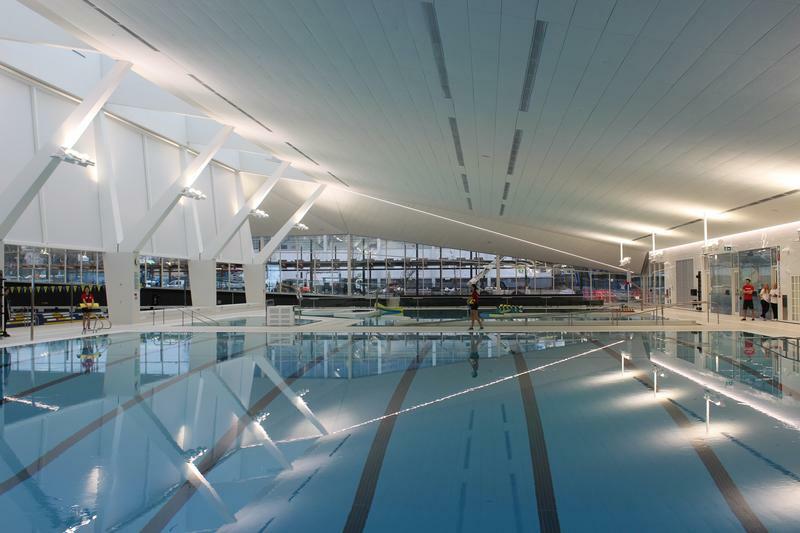 It's new, it's big, it's clean, it's shiny — it's the new UBC Aquatic Centre. Obviously, everyone is excited about it. But is it really that great? First, let's not forget the centre cost $40 million. As of 2015, Athletics was set to pay $11.4 million of that because they couldn't find donors for the project. Secondly, UBC has significantly less fitness space per student than most North American universities. A UBC study found that the university has just 0.15 square feet of fitness space per student, a pathetic one-seventh of the University of Victoria's capacity. UBC is aware of this and athletics has been working to fix it. The basement of the Old SUB is supposedly being turned into a fitness/weight room and Athletics should be applauded for their work. But the execution, especially with the new Aquatic Centre, raises some questions. Why the hell is there a lazy river? There’s nothing wrong with lazy rivers, but the centre isn't a water park — it's a pool. You don't need a lazy river. Period. What's more is that the lazy river, which is by no means small (though it isn't water-park huge) will, to the best of our knowledge, be included in UBC's measurements of “fitness” space. Unless you count redirecting your tube as exercise, there is absolutely nothing “fitness” about a lazy (repeat: lazy) river. There is nothing wrong with lazy rivers, but given the choice between slowly floating in lukewarm urine water and a free gym, we know what our decision would be. Why does the hot tub fit 40 people? Yes, 40! While The Ubyssey can think of plenty of uses for a big, 40-person hot tub, none of them should be conducted in a university aquatic centre. This is also likely to be counted towards UBC's fitness space, but does little to alleviate the lack of such spaces on campus. Everyone loves a good soak in a hot tub (even though they are really, really gross). But we'd rather have a free gym. Where is the free gym? The old Aquatic Centre, for all of its flaws, had a free gym in the damp recesses of its basement. For students who can't afford joining a private gym or don't want to wait to use the equipment in the overflowing BirdCoop, the gym was perfect. With $40 million, surely UBC could have stuck a gym somewhere in the building. Taking out the lazy river and massive hot tub would have left ample space for a small but free workout room. Lazy rivers and giant hot tubs are great, but they are the kind of thing you build when you've come in under budget and have some extra cash lying around. We don't know if the planning committee had a direct choice between a free gym and the river/tub, but we know what we ended up with. It's great that UBC is trying to build more fitness spaces for students, faculty and staff, but if they are really serious about it, they should stop screwing around with gimmicks and focus on the essentials.